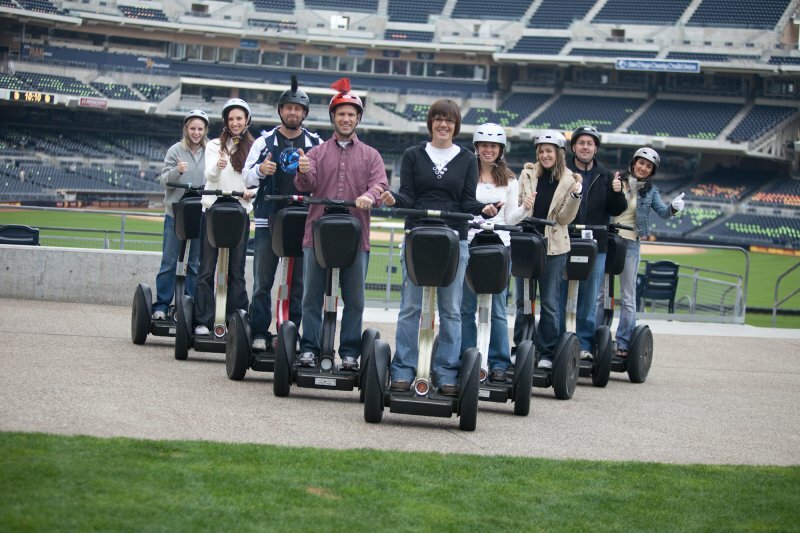 This awesome Downtown San Diego Segway Tour will take you through the heart of downtown San Diego’s architectural wonders, distinct districts, and into the up and coming East Village too. 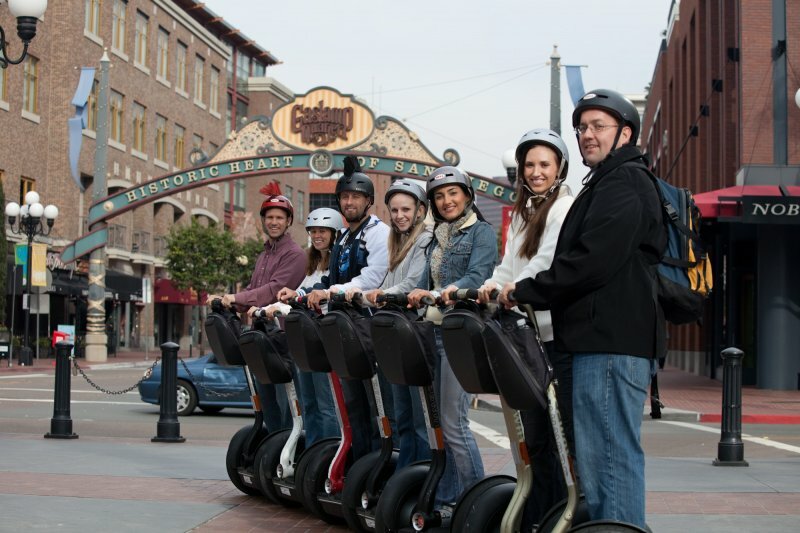 You will glide along our smoothest pathways and soak up the best views of our most popular sites, as well as learn a ton about our city’s storied history. 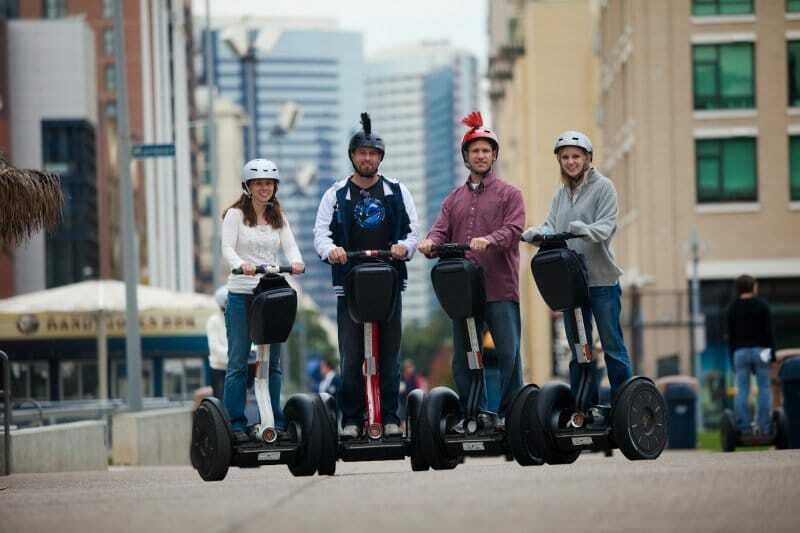 Our friendly and knowledgeable tour guides will lead you along, while filling you in on all the city’s secrets. 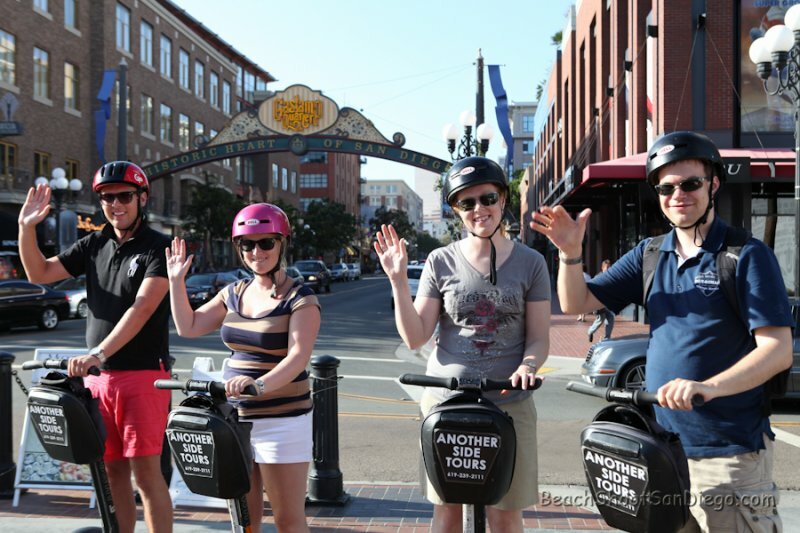 On this tour you will see The Historic Gaslamp Quarter, Petco Park, the William Heath Davis House, The Horton Grand Hotel, Sante Fe Train Station, our modern Convention Center, the new Downtown Library, The Mission Brewery, US Grant Hotel, and many more fabulous hot spots too. You will also get the inside scoop on the best places to dine like where to find the best fish, the best bars and clubs, and the greatest Happy Hours as well. 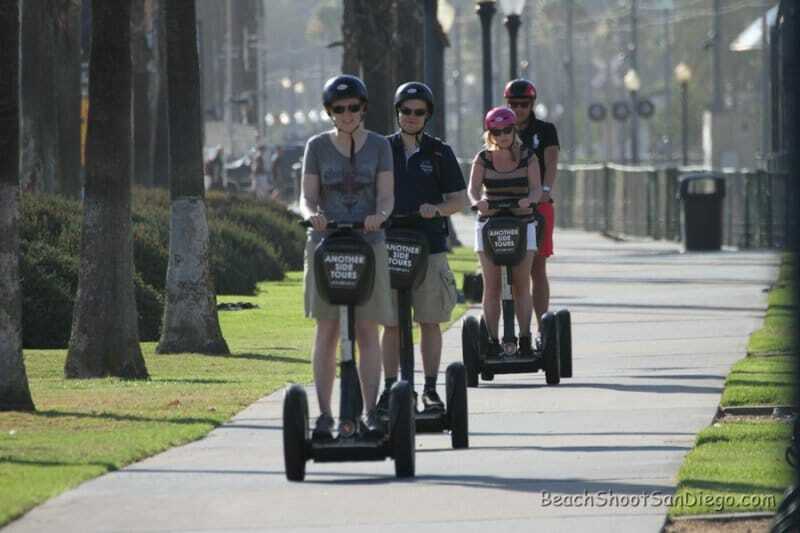 Our tours are perfect for locals and visitors alike and this is the perfect way to learn about our unique history, the geography, the diversity of our city, and vibe of this beautiful oceanfront city too. ON SALE for $99.00 per Guest. 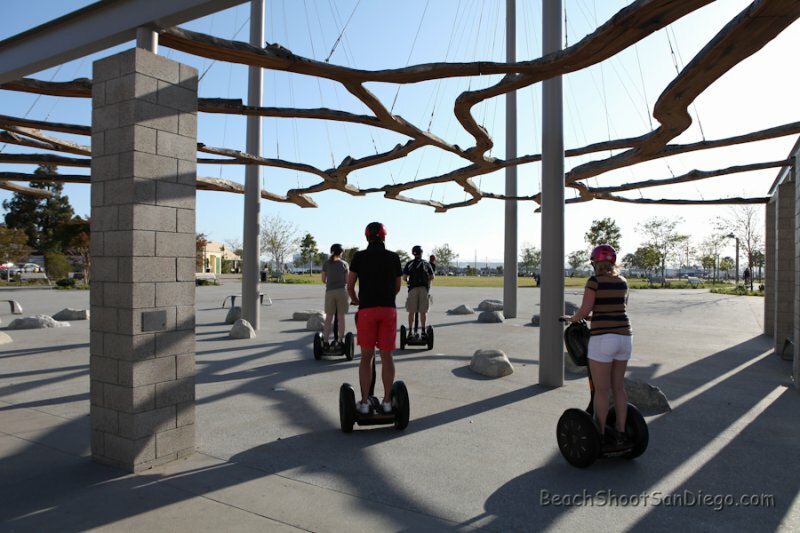 1 Guest is included here but any group size can be accommodated. This tour takes place in all weather conditions. Comfortable clothing and comfortable shoes. 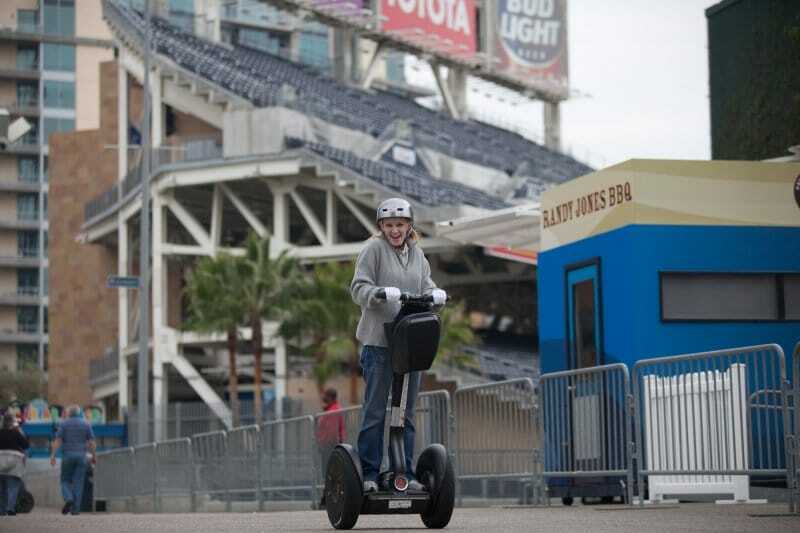 Please call us anytime at 1-619-239-2111 for the experience of a lifetime!